One name is known around the world for its association with endurance racing: Le Mans. Whether you’re talking about Le Mans prototypes, various continental Le Mans series, or the famous French circuit itself, they all hearken back to the heritage of the race that started it all: the 24 Hours of Le Mans. 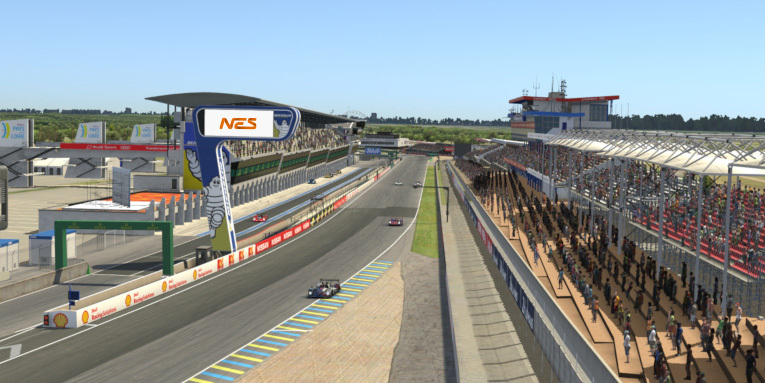 It’s only fitting, then, that the NEO Endurance Series — the longest-lived team endurance championship on iRacing — will wrap up its season with its own 24-hour race around the virtual version of Le Mans. 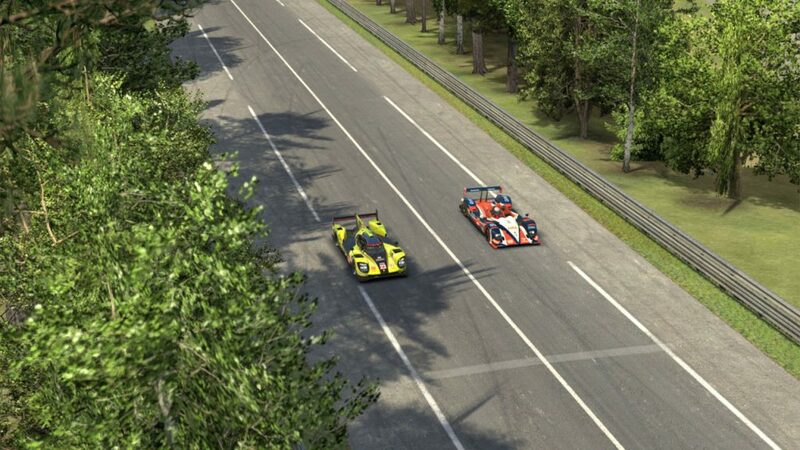 A lot is on the line in this weekend’s season finale, and before drivers hit the track for a long race day, night, and day, a few of them shared their thoughts about Le Mans for this race preview. This is the third consecutive season of NEO racing at Le Mans, and on all three occasions, it’s been a 24-hour race to wrap up the schedule — a format that the FIA World Endurance Championship has also adopted beginning with the current 2018-19 “Super Season”. Just four teams have tasted NEO victory at Le Mans. 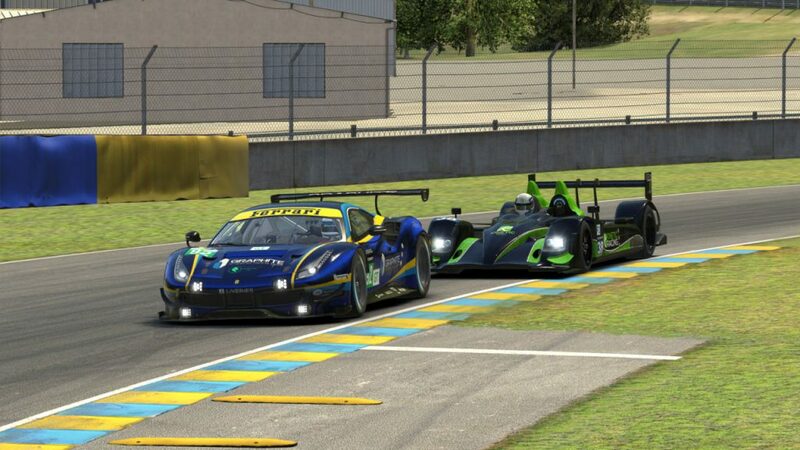 In season 3, Coanda SimSport won the prototype class while Heusinkveld CORE Motorsports finished on top in GT and Pure Racing Team won GTS. One year ago, Thrustmaster Mivano Racing ended season four a winning note at Le Mans — the first of five consecutive prototype wins that stretched into this season — while CORE repeated as GT class winners. Just four drivers from those winning teams are back in the field this season. One of CORE’s season-three Le Mans winners, Moritz Löhner, now drives for Williams JIM Esports, while Mivano’s trio of Tommaso Carlà, Frederic Evers, and Marcus Hamilton are looking to lock up a P1 championship. 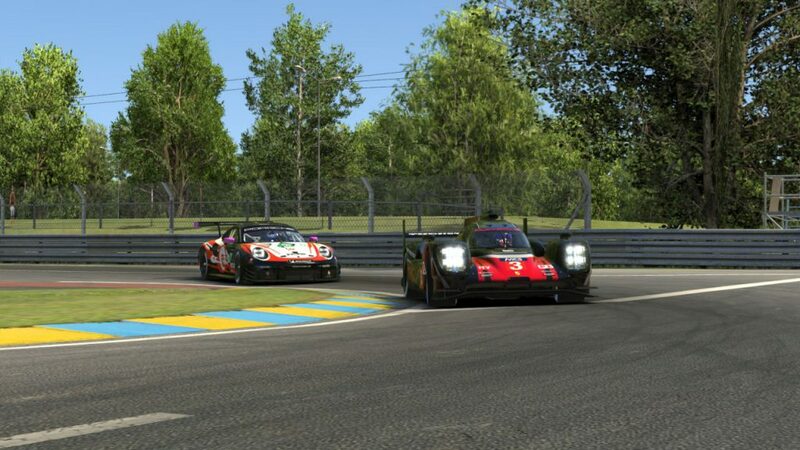 Mivano enters Le Mans on pole position and with the championship lead. Of course, that also presents plenty of opportunities for new winners in all three classes, and in the P2 and GT ranks, the rookie NEO teams that have led the way for much of the season could be the main ones to watch. They include P2 points leader AVA Vervatic and the GT title contenders from MSI eSports, Logitech G Altus Esports, and TRITON Racing. Those three GT-leading Porsches can find a bit of hope in the recent real-world Le Mans results. Last year, the factory Porsche GT Team won in GTE-Pro while the Dempsey-Proton Racing Porsche won in GTE-Am. Unlike other rounds this season, we enter this weekend’s race already knowing how teams will line up. In last Sunday’s qualifying session, Mivano and Hamilton topped the time charts in P1, Apex Racing Team was fastest among the HPDs, and MSI took pole in GT. 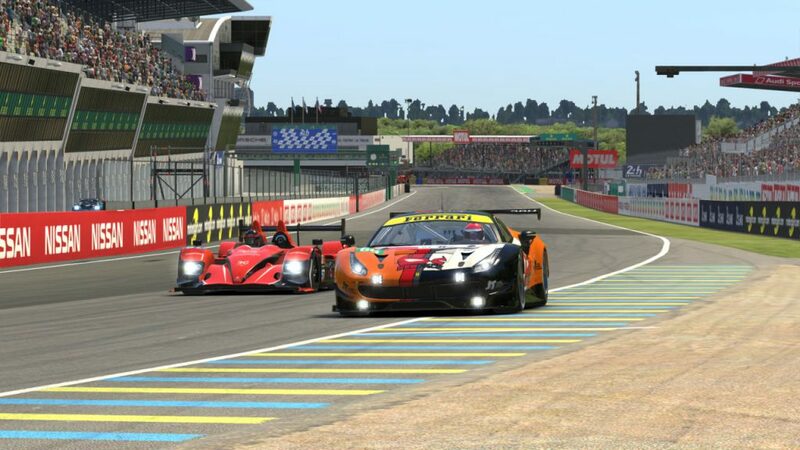 They will each lead their respective classes to the green flag when the race begins on Saturday at 15 GMT, with full coverage provided by RaceSpot on the iRacing eSports Network. As in each of NEO’s three trips to Le Mans, an X-factor will be the championship-winning teams from other leagues invited to participate. While they can’t earn points and thus won’t take points away from full-season NEO competitors, they can certainly mix it up in hopes of earning a strong result. In qualifying, Kinetic Racing led the way among newcomers, placing fourth in the P2 class. They’re joined by two fellow DGFX champions — the Graphite Racing Ferrari and a second P2 entry for Team Heusinkveld — and the Oceanic Endurance Championship titlists from ASTRO Gaming Altus Esports in the #2 Audi and Trick Simsports in the #95 Ferrari. Graphite Racing and Kinetic Racing are two of the invited teams joining the grid at Le Mans. 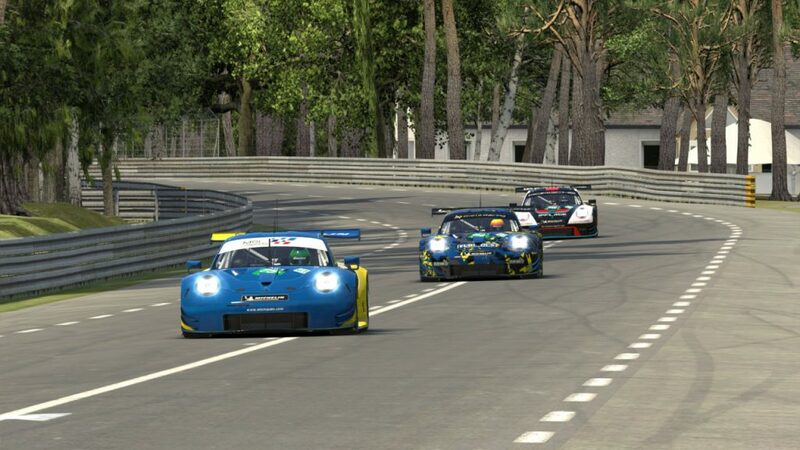 The Circuit de la Sarthe may be famous for its layout sprawling from the town of Le Mans out into the French countryside and back, but there’s a lot more to this track than just the Mulsanne. A lap of the 13.63-km Le Mans circuit begins with the fast kink at turn 1 that leads into the braking zone for the left-right Dunlop Chicane. After passing under the famous Dunlop bridge, drivers will give their steering wheels a steady crank to the right before entering the esses. One of the first key corners on the track is Tertre Rouge since it leads onto the first segment of the long, fast Mulsanne straightaway. Carrying speed through here is key, but the tarmac beyond the exit kerbing is often unforgiving when it comes to slowdown penalties. Once on the Mulsanne, drivers will race down the long, straight road, detouring twice to navigate through chicanes — and we’re not talking about GT traffic. At least one driver said those may be the most important part of the circuit to get right. Taking too much track past the kerbing is punished with a slowdown. After exiting the second chicane, cars will crest the hill that’s been shortened in recent years to prevent future Webber-like flyaway attempts, then set up for Mulsanne corner. That’s another key section of the track, especially for P1 cars. Down that straightaway — another one of the public road sections at Le Mans — prototypes may be forced to pick a side to pass GT cars stuck in the middle of the road. 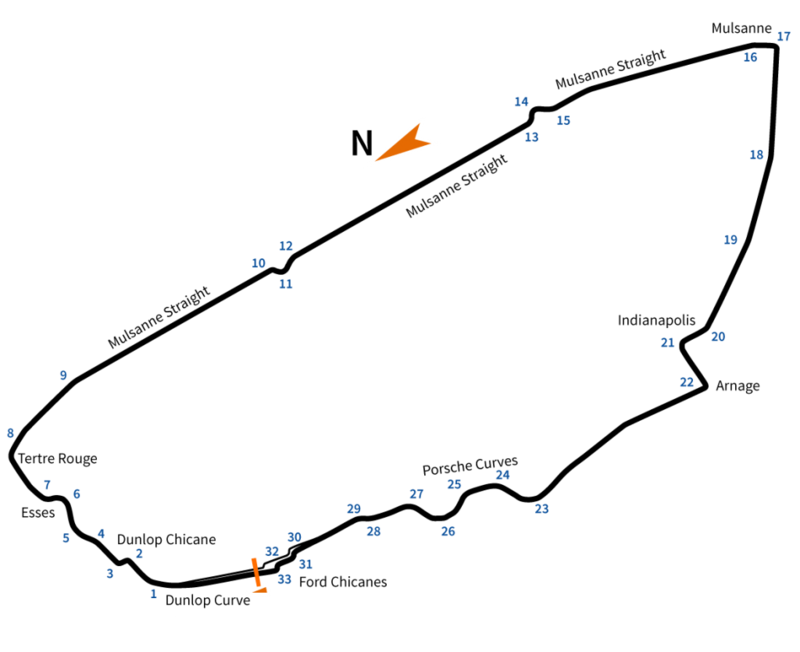 It’s an odd-looking behavior, but with a good reason behind it. Riding the crown of the road lets drivers keep their steering wheels straight instead of fighting against the slight incline on either side. That one simple trick can save GT drivers a few tenths of a second per lap. Prototypes hate them! Expect to see GT cars straddling the center line on race day. Okay, maybe not hate. The prototype drivers we talked to all said they understand why GTs run that line, but it can make their jobs in passing traffic more difficult. “I totally respect why they do it, but judgment is heavily heightened, especially in kinked corners,” added Rowland. Since that old habit will be hard to break for some GT drivers, prototypes may have no choice but to accommodate it, although that can be harder than it sounds. “If everyone is doing this, it is easy for us adapt, as there is enough space to be safely three-wide here,” said Richard Arnaud from Race Clutch. “But if certain drivers do it and others not, we will have to be really careful and change our lines quickly to overtake safely. The P1 hybrids will make most of their passes down the long straightaways. After those long straightaways comes some of the slowest corners on the track, and they’re also some of the most important. First, the banked Indianapolis corner leads into the flat Arnage turn. That is followed by the run to the Porsche curves and the Ford chicanes, which will be challenging especially for prototypes. Many teams will have their cars running little downforce to maximize straight-line speed, but they’ll feel the downside of that in the twistiest part of the track. Although traffic won’t be as frantic or as frequent as in the races so far this season, it will still be present. 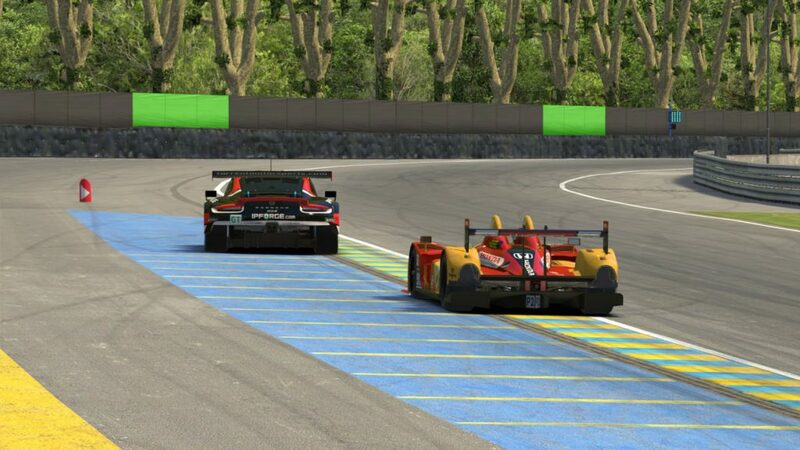 P1 cars should lap Le Mans in around 3 minutes, 16 seconds, while the P2s will be about 15 seconds per lap slower and the GTs lapping around the 3:50 mark, give or take a few seconds depending on the track conditions. That means P1 prototypes passing GTs about every 6 or 7 laps, P1s encountering P2s every 13 laps, and P2s passing the GT field about every 10 or 11 laps. The famous Le Mans layout. It didn’t take long for our driver representatives “2C” their keys to the race: concentration and consistency. “A 24-hour race will be a true test of concentration and driver stamina,” said Rowland. “Concentration will be maybe the most important way to avoid making any mistakes,” noted Arnaud. Certainly concentration will be required in traffic, and while our representatives agreed that the track is generally wide and easy on traffic management, the Porsche Curves are one exception. “That section where we’re catching GT traffic at high speed is by far the most awkward and tricky place to overtake,” said Rowland. GT drivers may also need to watch their mirrors as they head into some of the slowest corners on the track. Prototypes may try to sneak past GT cars entering the fast kink at turn 1. Perhaps in this race more than any other this season, good judgment in traffic could help teams keep their race — and championship — hopes alive. “I think a lot of the potential trouble will come down to the patience of P1 and P2 drivers,” said Fricke. A bit of impatience culminating in contact between cars, a rough ride over a sausage kerb, or sandwiching the right side against the SAFER barrier in the Porsche curves could prove extremely costly. “You must keep damage off of your car, since you lose a lot of time on the straights even with just a little bit of damage,” added Fricke. 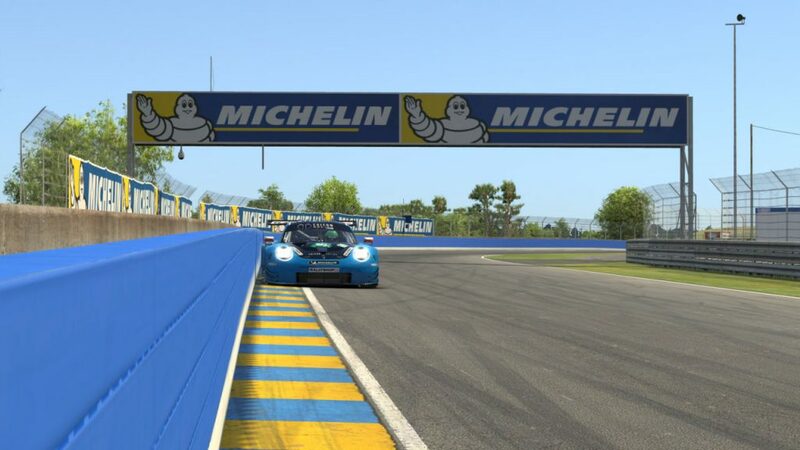 Expect to see some cars come close to the blue wall in the Porsche curves. As for that second key factor, it’s best explained by one of this season’s most consistent and winningest drivers. One tool to getting there will be a good setup, and unlike recent rounds that forced teams to choose between handling during the day or top speed at night, Le Mans may offer fewer opportunities to compromise simply because the track is so fast to begin with. The quick kink before Indianapolis is one spot where handling is especially important. If there is a compromise to be had, it could be about when — and how much — to make a certain pit stop adjustment. As you might expect, teams fighting for their lives in the standings didn’t want to give all of their secrets away. That includes the Spa overall winner and third-in-points P1 team from Race Clutch. “Our setup is confidential information,” said Arnaud with a grin. Anchors aweigh, NEO teams. 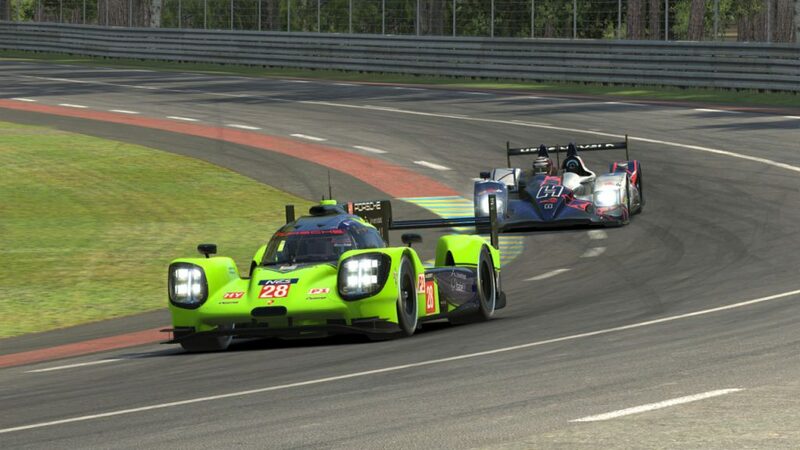 The RaceSpot 24 Hours of Le Mans is almost here, and it’s time to set sail.